Any Model, any Feed, any Broker to Market in 30 Days or less. TradingSystems.ca has the expertise to turn your models into fully automated strategies. We specialize in building Automated Trading Systems. Our programmers are experienced traders and have a wealth of knowledge about the automated trading platforms we work with. We work with all customers, including retail and professional traders. 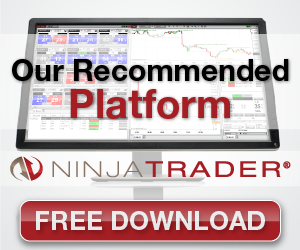 Being a NinjaScript Consultant for 7 years, Trading Systems has helped hundreds of customers develop thousands of Custom Trading Tools, Indicators, and Strategies for NinjaTrader. We can program just about anything you would like, and we do it quickly and efficiently! Trading Systems provides advanced programming services for hedge funds and retail traders. We have many years of programming experience using different technologies and understand the high demands of the trading industry. Our programmers also specialize in custom strategy implementations using Tradestation (EL), Multicharts (PL), Wealth-Lab (WS/C#), AmiBroker (AFL), MetaTrader (MQL), Thinkorswim (TS), eSignal (EFS), TradingView (PS) and other platforms. We offer support and help to traders wishing to turn their trading concepts into workable fully automated strategies and custom indicators. We follow best practices to build, evaluate, and deploy solutions for the quickest path to trading success. A quote includes design, development, and testing as well as your complete acceptance and satisfaction of the deliverables. Any code created within the scope of the project will be delivered as open source. Everything created will be completely confidential. Additionally, variables of any indicator created will be exposed for use in a strategy if applicable. Once a solution is implemented, future enhancements can be made for a fraction of the initial design fee depending on how much these enhancements deviate from the base project. How can I pay a quote? Once we give you an estimate for your project, choose the hourly package that best suits your needs. These hours can be used all at one time or kept on retainer with TradingSystems.ca for whenever you will need them. Payments are processed through the Algorithmic Traders Association by Paypal.